Jo and I had a day trip on the bus to Coventry today to do some shopping. 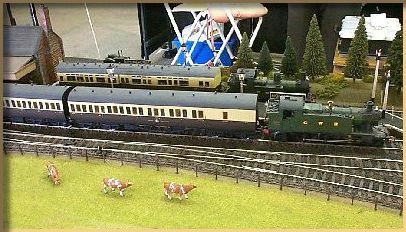 I have now set up a new BLOG to record the building of my new model railway, which I have named “HADARFORD”. I will post on it as and when things occur related to the building of the layout. It can be accessed by clicking on this link or by using the new link in our BLOG list on the left-hand side of this BLOG. I now offer my rag rugs for sale on eBay, you can view and buy them by clicking on this link.